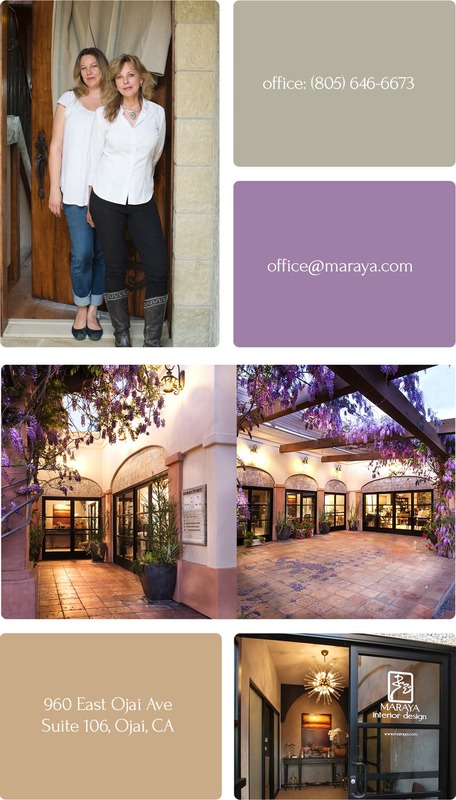 Maraya Interior Design’s offices are located in Ojai, California. Our past and current clientele are in areas such as: Santa Barbara, Montecito, Napa Valley, Tahoe, Westlake, Los Angeles, Santa Ynez, Napa Valley, and Malibu. Please write, call, or use the form below for an appointment and overview of your next project.